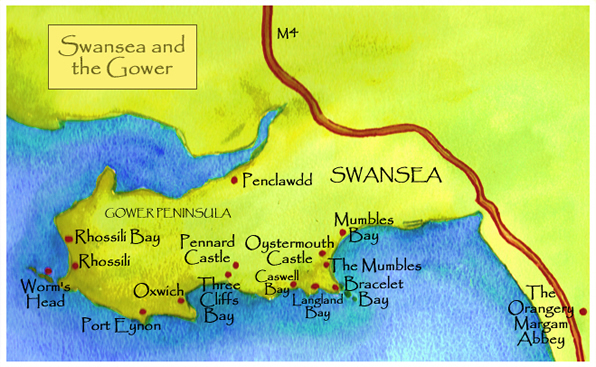 I have many happy memories of sailing in Mumbles Bay (when I lived and taught in Swansea), and spending time on the Gower Peninsula. Swansea has a fascinating maritime history, and is the birthplace of Dylan Thomas. The coastal scenery is spectacular, and full of geological interest. The distinctive Worm's Head constantly appeals to me, and the north coast of the Gower, so different from the south, has its own appeal, such as the cockle beds at Penclawdd.